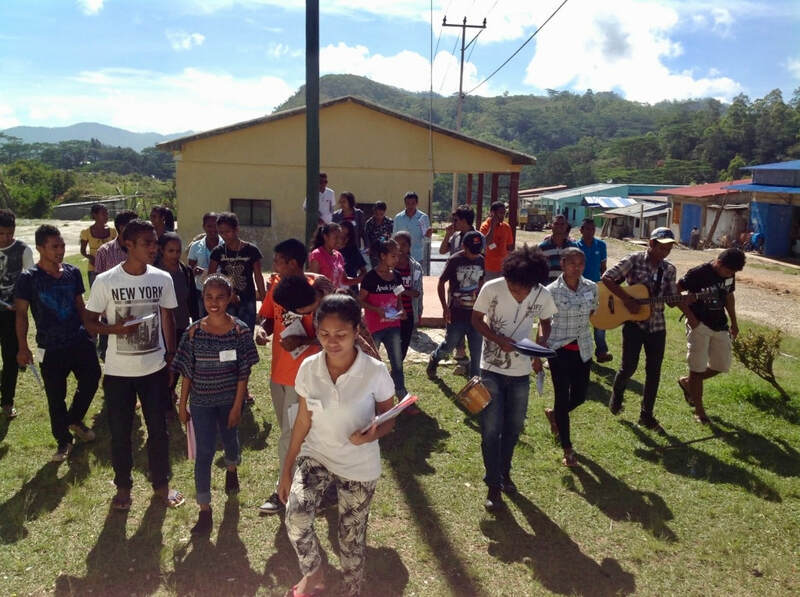 Juventude ba Dezenvolvimentu Násional (JDN) was formed by Timorese young people aged 17-24 to engage our peers in discussion and action to develop services to increase our economic independence. Early in 2014, twelve of us began meeting to develop a solid understanding of young people’s views about unemployment problems and possible solutions. Since then, with assistance from two advisors, we have formed a national NGO that was registered with FONGTIL and the Ministry of Justice in 2015/16 and we continue to develop the skills needed to achieve our personal and organizational goals. The vision of Juventude ba Dezenvolvimentu Nasionál is that all young people in Timor-Leste can live with dignity and equality. Members of JDN are either continuing our post secondary school studies, or are working or looking for work. Three members work on a part-time voluntary basis to coordinate leadership development opportunities and project activities with assistance from two advisors from Australia. Everything we do aims to build the skills, knowledge and capacity of JDN members and other young people who participate in projects organised by JDN. Our Board meets quarterly to review organisational and project developments and provide advice. The Board consists of JDN members Alberto Dos Reis Mendonca and Romario Baretto, as well as Sr Manuel Dos Santos, Sra Sonia Lay, Sr Nelson Mesquita, Sra Bernadette McEvoy and Sra Jenny Lauritsen. A coordination group of 10 JDN members are responsible for implementing activities that respond to JDN's annual priorities. Below: JDN members for 2018. Develops programs and services to assist young people participate in training and obtain employment. Provides non formal education for young people living in Dili and the municipalities about the issues that affect them, including gender equality, nutrition and health, preparation for employment. Provides leadership development training for young people 17-24 so we have the capacity, skills and knowledge to look for solutions to our own problems. Builds the organisational development skills of JDN leaders so that we have the capacity to achieve the goals of JDN.